The ewes are finally lambing. For Mother’s Day we had 3 ewes lamb 5 lambs. 4 ewe lambs and a ram lamb. All are doing well although I had to assist 2 of the ewes. 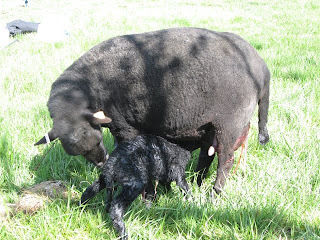 One had twins and legs were back the other was a first timer and didn’t dilate and then the lamb got elbow locked. Only 57 more ewes to go.